Searching for the fastest drying ovens? 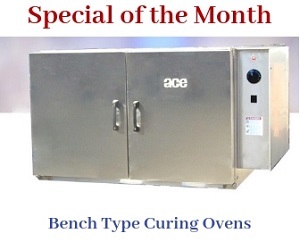 ACE holds Rotary Drying Ovens that are widely known for their excellent performance, efficiency, durability and low-maintenance required operation. Would you like to know the operating cost and ROI of Rotary Drying Oven model RD-01-36-120 that is used precisely for drying precious metal chips? Here are the details. You would require information regarding the operating cost and Return on Investment of Rotary Drying Oven model RD-01-36-120. Here you find them. A Clear understanding on the operating cost and Return on Investment on the Rotary Drying model RD-1-36-120 (used typically for drying Brass.) help you to make estimation on the overall cost and profit. You find this article useful in this regard.